King protea (Protea cynaroides) flower. 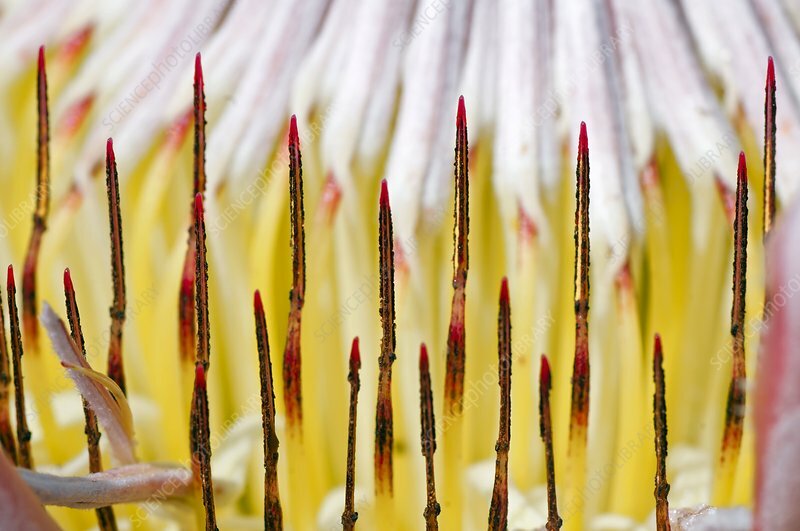 Close-up of the inside of a flower from a king protea (Protea cynaroides) plant. Photographed in Bredasdorp, Western Cape, South Africa.